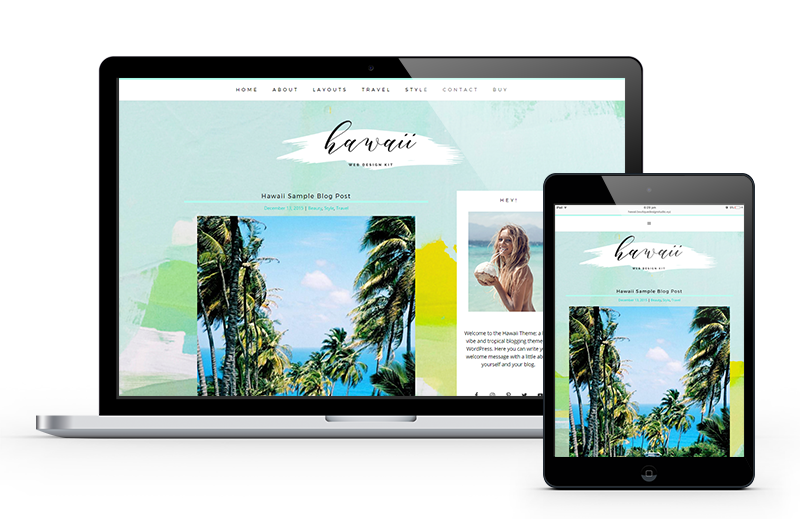 To start a site from scratch or rebrand with a new design! 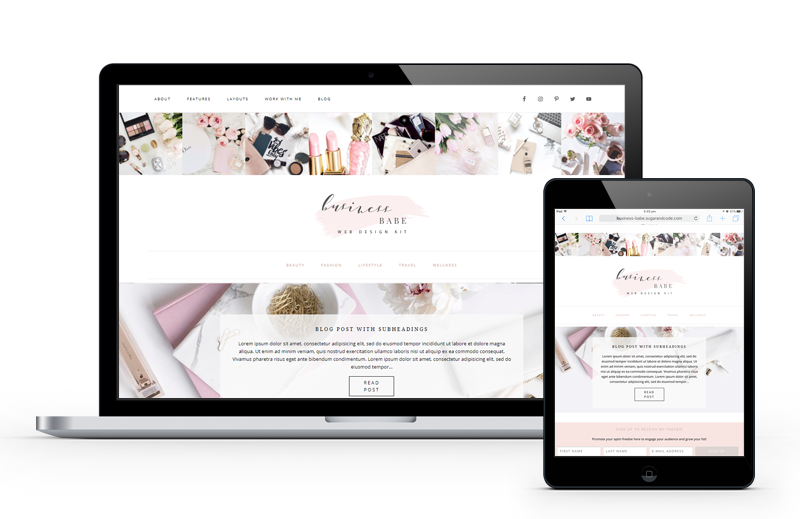 Includes a premium feminine WordPress theme, the Genesis framework, logo template and step by step tutorials that take you through how to set up or rebrand your site ready for launch! No fancy expensive programs, no ongoing memberships – just an easy and affordable way to get a site that works for your blog and business. Enjoy Your New Site and Share It with the World! 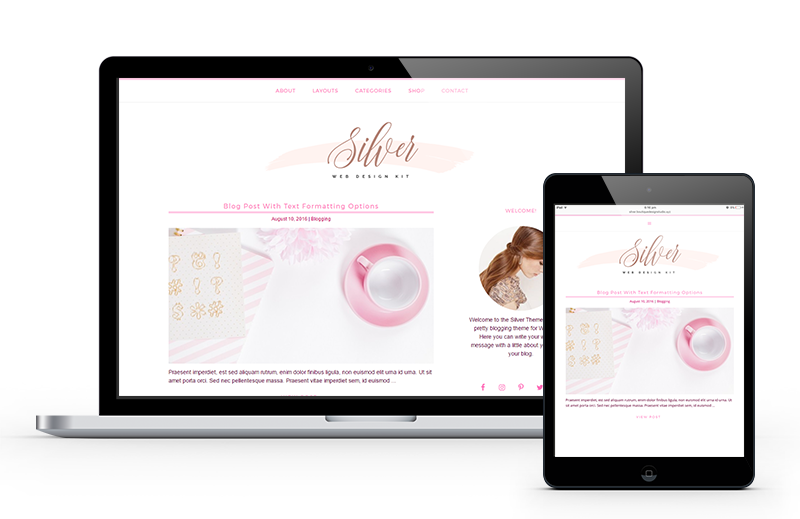 All designs are beautifully responsive – your design will look stunning on all devices. 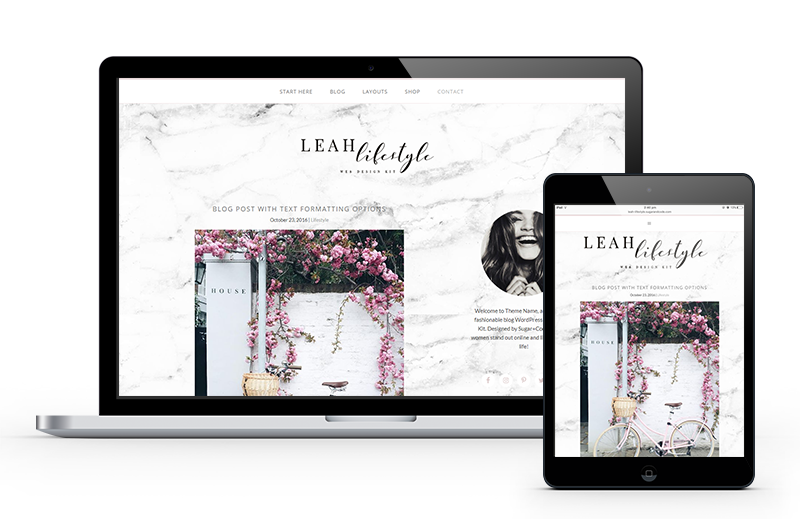 With our theme tutorials you’ll skip the WordPress learning curve and learn essential Blogging skills the process. 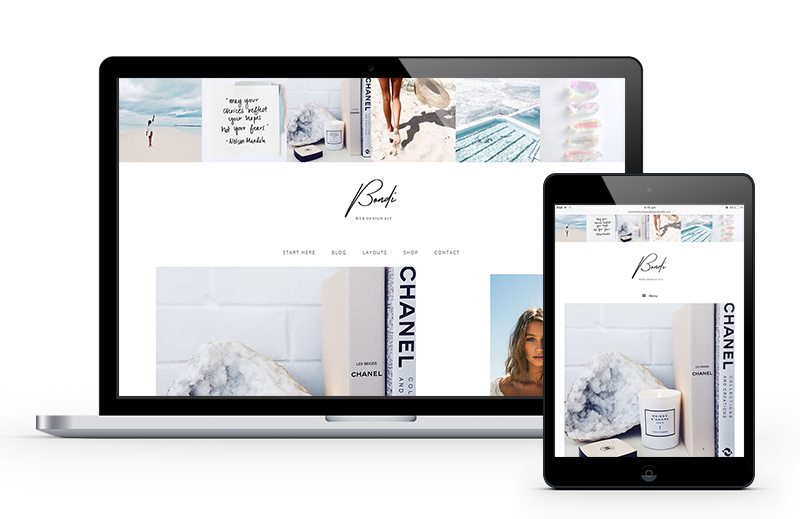 When creating a web presence with WordPress you own your website – super important! 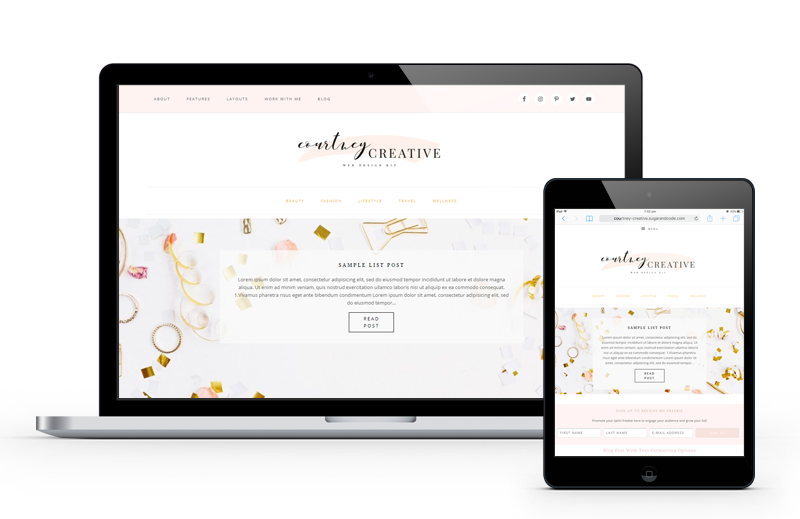 Each design comes with settings that you can easily edit to modify the colors, layout and logo. NO coding required. Instead use the easy style editor that’s been compared to an online version of Microsoft Office. What do I get after I purchase? 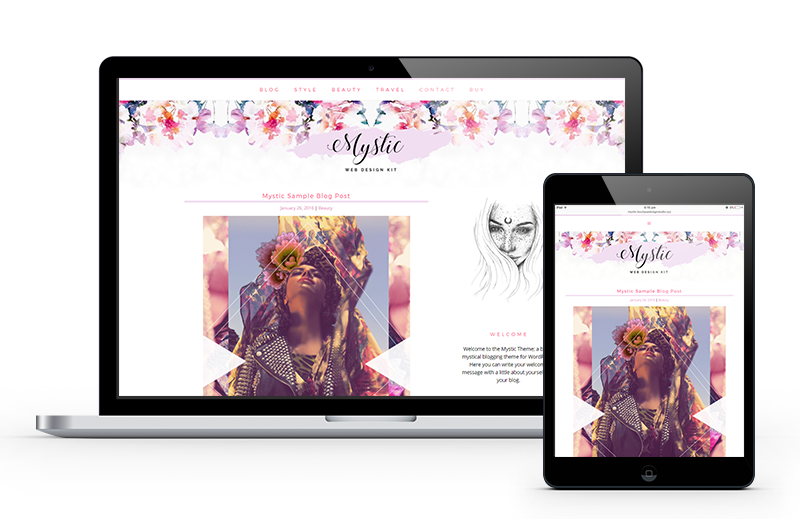 After payment is received, you will receive your complete design kit instantly as a digital download, containing step-by-step instructions and tutorials to create the exact design. I'm not that 'techy' will that be a problem? Not at all! We’ve designed these to be user friendly for the average person – our tutorials use normal language and we’ve found that most people can finish the setup within hours. You’ll need a domain name and web hosting so your website can be viewed live. Of course! 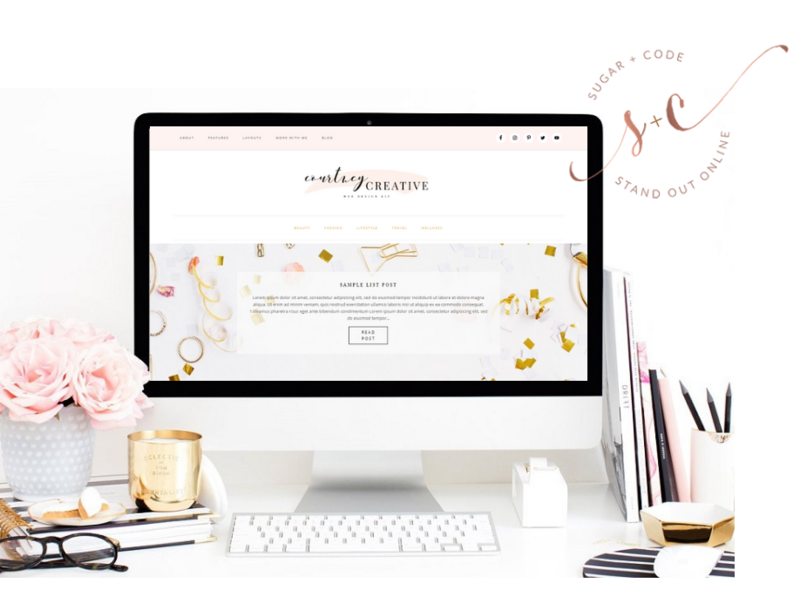 – Your website should represent your brand! 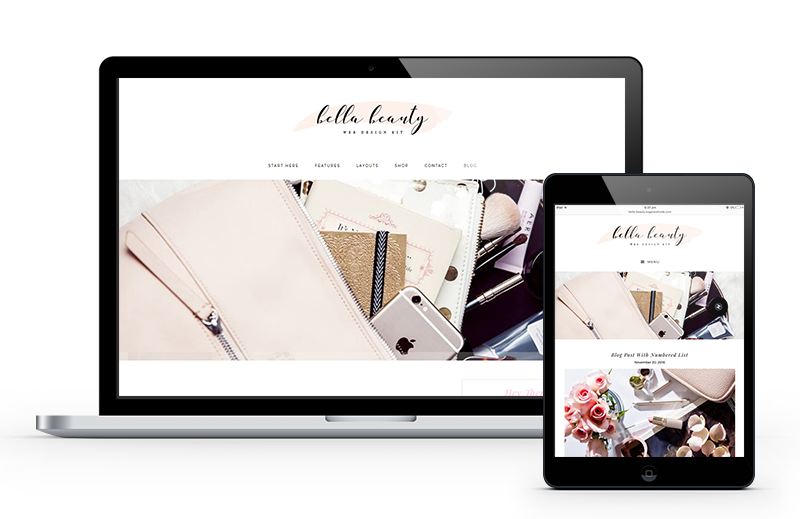 All our designs are built so that you can upload your existing logo or use the default font styling. Can I add a shop and sell products? Yes! 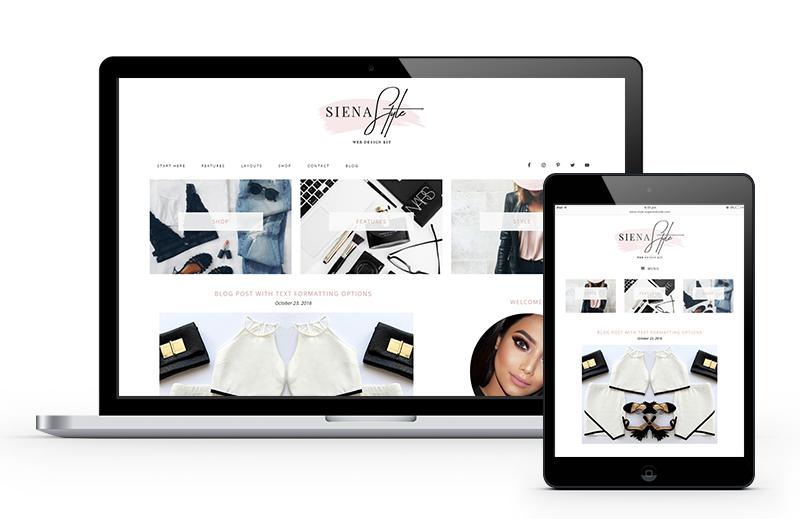 Each one of our blog and website themes are eCommerce compatible and you can sell physical, digital and affiliate products straight to your audience. Do I need to know any coding? NO coding required! Each design comes with step-by-step instructions and tutorials to create the design in your WordPress dashboard using the built-in style editor.